Hey guys! Today's mental health awareness topic is one that I myself really wanted to find out more about because I often hear it in passing. Similarly with OCD people often throw the word around and not really understand what it means and I wanted to to some research and find out more! 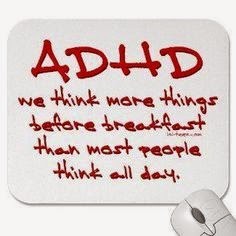 Common symptoms of ADHD include having a short attention spam, restlessness and being impulsive. It can occur in anyone, a lot of people think it happens purely in people with learning difficulties but this is not true although it is more common. People with ADHD may also suffer from anxiety and insomnia. Most people are noticed for having it at an early age from around 6-12 years old, it's quite often spotted by teachers when the notice a child is having difficulty paying attention in class. Many people live with this and are absolutely fine, many may not even consider it to be a "mental disorder" because they continue life as normal although for others it is severe and may interrupt their daily activities. 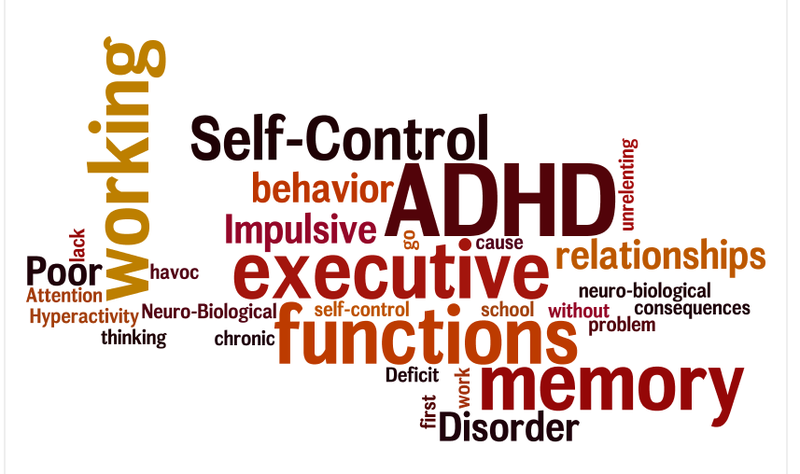 ADHD can be quite difficult to diagnose especially if the person is young, as young children suffer from a lack of concentration as it is, but as a person gets older it can be easier to tell. It is also the most common behaviour disorder in the UK and affects around 2-5% of children and is more common in boys. Something I found interesting however is that girls with ADHD are more likely to suffer from the lack of attention symptom rather than the hyperactivity and so it can often be harder to spot, many girls with ADHD may go undetected. 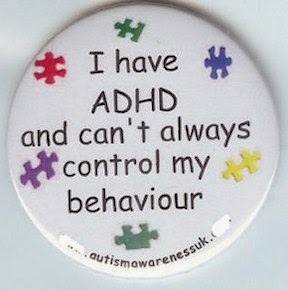 It is important to remember that people with ADHD cannot control their behaviour just like any other disorder. Children with it often get labelled negatively and this needs to stop because of the effects it has on them later in life. Just as we wouldn't blame a schizophrenic for having delusions we shouldn't blame someone with ADHD for being hyperactive. If you suffer from ADHD and would like to talk about it for my mental health awareness month please email me at smitheh01@gmail.com. Likewise if you would like to do a post on another mental health issue you want to talk about please do email me too! The more awareness we raise the better.